The whole internet is pretty much reliant on how search engines categorize and rank each website. If a particular site doesn’t hit all the sweet spots favored by the big search engines like Google, you’ll probably never even know it exists. Making sure your website fits these criteria and gets seen by your target audience is known as search engine optimization (SEO). To fulfill all your needs regarding SEO South Florida this is the place to look. If you’re building an online business from South Florida search engine optimization should be at the top of your list of priorities. It involves ranking a range of different keywords and phrases according to how often members of your target audience search for them. Go window shopping. The South Florida search engine optimization scene is jam-packed with all kinds of people purporting to be the next big thing in marketing. Look around and do your research before choosing the best South Florida SEO company for your business requirements. Look at previous work. Any SEO company worth its salt has a range of case studies you can investigate. Check how each company went about achieving their clients’ aims before you choose one. Consider your strategy. You might want to start local and then grow your brand, or you might want to stay local. Ensure that your chosen company has experience at the level you hope to attain. 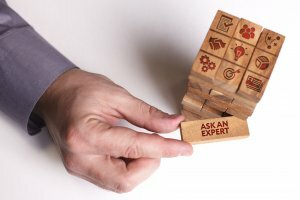 Investigate SEO tools. Different companies swear by different tools to optimize their content. Make sure that your prospective consultant can provide evidence as to why a given tool is their preferred option. Ask about organic results. Although you can pay to be included as an advertising link at the top of a search page, more savvy consumers will just ignore this. Ensure your prospective consultant focuses on getting organic results based on keywords. Consider backlinks. Look at how your chosen company will build links between your site and other potential affiliates. You need links to high-quality, genuine sites that your clients and search engines bots alike will trust. Check industry experience. Although SEO strategies for various industries have much in common, you’ll get the best results if your consultant has worked with companies in your niche before. When it comes to improving your site with SEO South Florida is the first place you should look. Our experts at Smashed Media will envisage a plan that’ll boost your site to the top of the rankings. 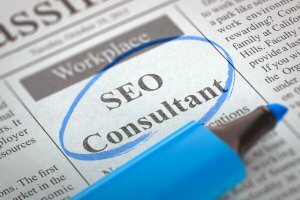 If you need to hire a top consultant Florida SEO expert we can be your go-to place. Get in touch with one of our SEO South Florida experts and see what you can really achieve.